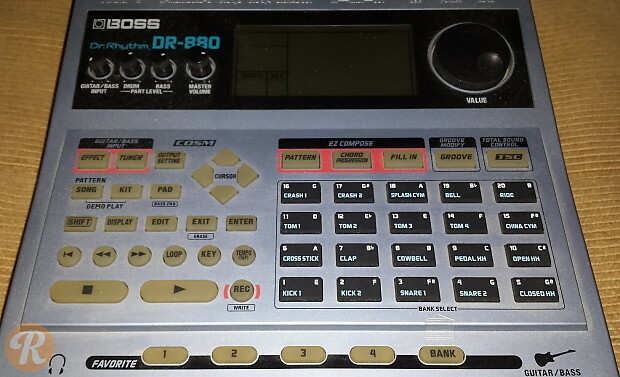 The DR-880 Dr. Rhythm is a beats machine with programmable bass, percussion and drum sounds. It includes velocity-sensitive pads and an EZ-Compose button for constructing loops and patterns.